We celebrate change by inspiring women worldwide to connect, to share knowledge and experience and to initiate a wave of new opportunities. Female Wave of Change is very excited to welcome Dr. Zaneta Brown Ingles as her Strategic Program Leader. Empowerment and education of women worldwide is a key area for FWoC. After Women Leading in Change, more education programs will be developed in 2019 and after. Zaneta’s knowledge and experience in the field of education is more then welcome, so we are sure our programs are developed and implemented in a professional way. Zaneta will work closely with the members of our Circle of Wise Women, the Ambassadors, the Inner Circle and the Board. Dr. Zaneta Ingles has held various positions in the field of education. 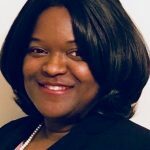 She began her journey as a high school teacher and later taught at the college level, notably for Sojourner Douglass College and the University of Phoenix. She has also served in supervisory positions for leading school reform organizations such as NCEE-America’s Choice and Edison Learning. In her work on school reform initiatives in the United States and abroad, she has spoken on best instructional practices in reading, increasing rigor in instruction, motivating students to learn, and using data to increase instruction. Zaneta has an entrepreneurial spirit and this has led her to create her own educational consulting company where her services are contracted through such venues as public school districts and school reform organizations. Dr. Ingles enjoys lending her expertise to worthy causes and she has served as a keynote speaker and panel participant in various regions throughout the United States. She is also a member of various civic organizations. Zaneta is a graduate of Morgan State University. She holds a doctorate degree in Higher Education, a Master’s in Arts and Teaching and a Bachelor of Arts, in English. She also holds an associate’s degree in General Studies, from the College of Southern Maryland. Zaneta has co-authored a book entitled, “The Black Female Leader: Communication, Confidence and Charisma.” She is currently working on other books dedicated to female empowerment. 2019 © Female Wave of Change. Website Co-Designer: Angela Duffield Warren Design Services, SA.